The long-eared owl, a medium-sized bird of prey, is a fairly common inhabitant of temperate forests. Let's take a look at some fascinating facts about the long-eared owl through this BirdEden post. If disturbed during its daytime roost, the long-eared owl raises its ear tufts, flattens its feathers, and freezes like a statue, thus resembling a tree bark. Due to this statue-like pose with erect ear tufts, the bird was once known as the cat owl. 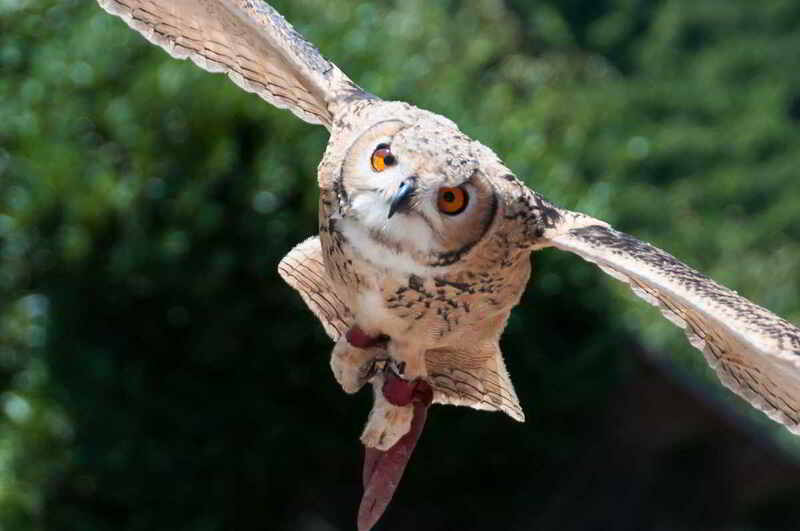 Owls are birds of prey, which are found everywhere, except the continent of Antarctica. They are mostly solitary and nocturnal creatures who rest during the day and hunt during the night, as they can see very clearly in the dark. Today, there are as many as 200 existing species of owls, apart from a few species which are now extinct. There are essentially two commonly accepted families of owls viz., the true or the typical owls and the barn owls. Of these, the typical owls is a large family consisting of 189 extant species of owls, spread over 25 different genera. These, as mentioned before, are found everywhere in the world. ➥ Asio otus wilsonianus, found in Eastern North America. Given below are a few fascinating facts about this bird of prey. 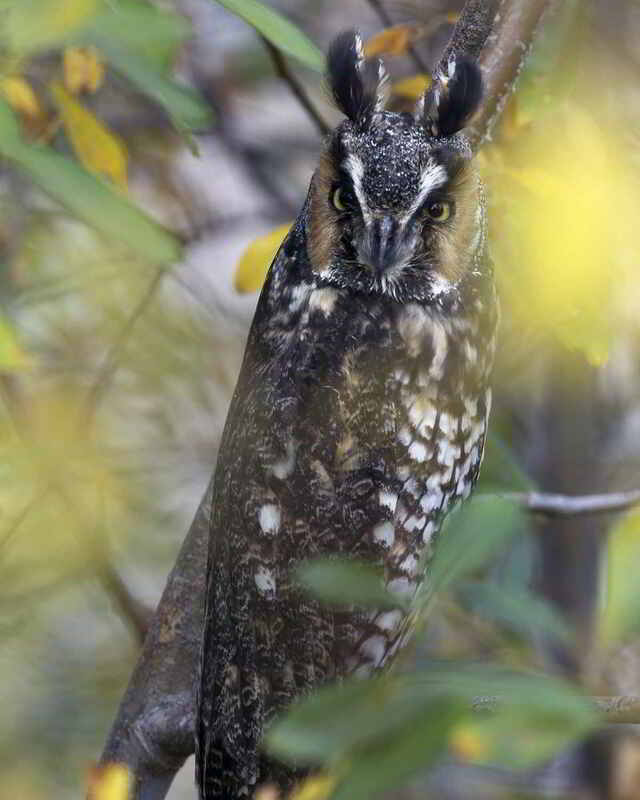 ✭ The long-eared owl is typically found in Europe, Asia, and North America, and dwells in thick woods. 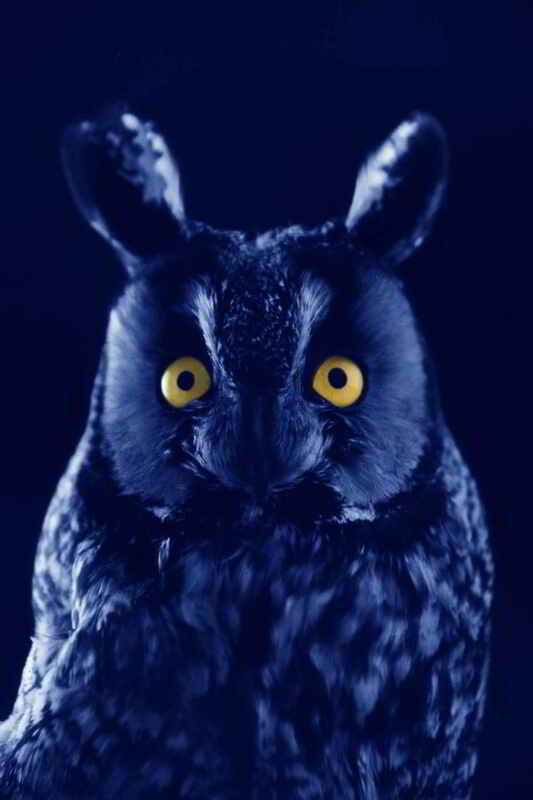 ✭ The owl is of a medium size and stands about 12 to 16 inches tall. It has a wingspan of about 34-39 inches. ✭ Females are bigger than males and weigh about 9.9 ounces, while males weigh about 8.6 ounces. ✭ These owls have brown feathers, which have dark-colored vertical streaks on them. Females are often darker than the males. ✭ In the center of the bird's head, there a two erect ear tufts, blackish in shade. 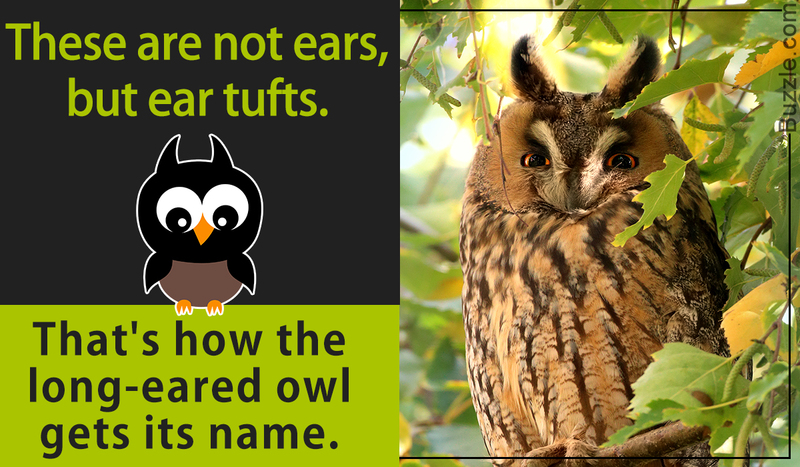 The long-eared owl gets its name from these ear tufts and not from its ears. ✭ The erect-standing ear tufts make the owl appear larger than the other owls, while it perches. However, while in flight, the ear tufts are flattened against its head. ✭ The eye disks are one of the important distinguishing markers of this species of owl. They bear a dark, rusty shade of orange. ✭ Though the long-eared owl is an owl species which is more commonly noticed than most others, it generally stays silent, except during its breeding season, which is from February to July every year. ✭ Its common breeding season call is either a single and long "whooo" or a softer and often musical "whooo-whooo-whooo". ✭ Usually, it nests in coniferous trees. Often, large, abandoned nests of other birds or even squirrels are used for nesting. Sometimes, their nests are often found in hollows on the ground. ✭ The average size of the clutch is about four to six eggs, which are laid on alternate days. The incubation period begins the moment the first egg is laid and lasts for about 25 to 30 days. ✭ The females are in charge of incubating the eggs, while the males hunt for food to feed the females and the young ones. ✭ Although the young ones leave the nest after about 24 days of their birth, they are unable to take flight unless they are about 34 days old. ✭ The average lifespan of a long-eared owl is 25 to 30 years. The oldest recorded age of a wild long-eared owl till date is 27 years and 9 months. ✭ The long-eared owl is partially migratory, meaning that, it migrates only during the winter season. It leaves its abode in the northern temperate regions, and moves south with the dawn of winter. ✭ A very unique characteristic of the long-eared owl is its pattern of communal roosting during winter. The bird, which otherwise is known to be solitary in nature, is surprisingly found roosting in groups in forest thickets during the winter months. ✭ Generally, the bird nests in forests, which are close to the open country, where its food that comprises rodents, birds, and smaller mammals is available easily. ✭ This nocturnal bird leaves its nest during the night and glides on stiff wings, in order to hunt for its prey. ✭ According to statistics by the International Union for Conservation of Nature (IUCN), the long-eared owl has been included in the 'Least Concern' list, which means that they do not face the fear of extinction in the near future. 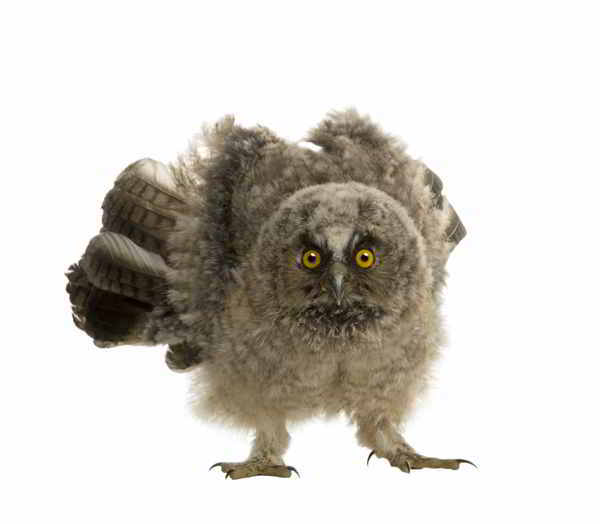 ✭ However, in North America, and especially in the state of Connecticut, this owl species is 'endangered'. According to the Department of Energy and Environmental Protection, State of Connecticut, the major reason for decline of the population of the long-eared owl in the state is loss of habitat due to extensive land development. ✭ On the other hand, in Europe, the tawny owl (Strix aluco) gives a tough competition to the long-eared owl, as a predator. However, in areas where the tawny owl is less abundant or absent altogether, the long-eared owl is found in more numbers. Interestingly, despite their large and tall appearance, the long-eared owls are the slimmest species of owls, especially in the whole of North America. Notably, their shape helps them hide from predators, and the color of their plumage provides them with a good camouflage, while perched.